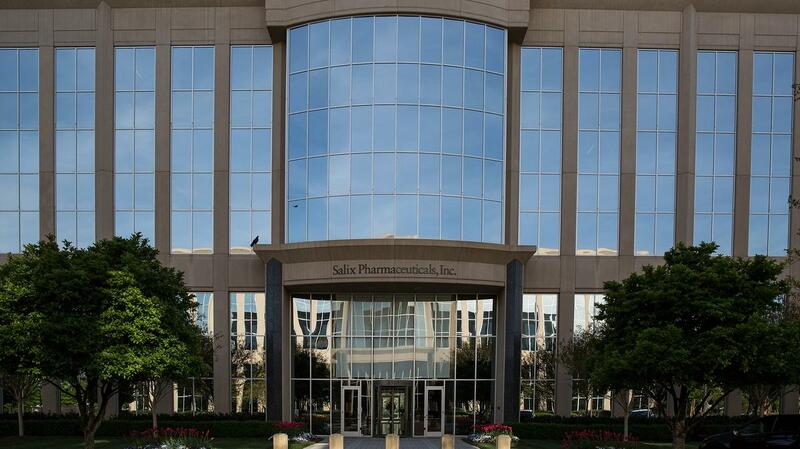 Salix Pharmaceuticals was accused of paying illegal kickbacks to doctors for prescribing their products. McEldrew Young announced on Thursday a $54 million settlement of a civil case involving the False Claims Act qui tam lawsuit filed against Valeant Pharmaceuticals subsidiary, Salix Pharmaceuticals by the United States Department of Justice. The civil charges filed accused Salix of paying illegal kickbacks that prompted doctors to prescribe seven of the company’s products resulting in an influx of fraudulent reimbursement claims by thousands to the government. The accord includes supposed misconduct by the company from 2009 to 2013 even before Valeant bought the company in April 2015 for over $11 billion. Salix accepted responsibility and admitted lavishing doctors regularly with gatherings at high-end restaurants with or without time discussing Salix drugs and gatherings that included non-healthcare professionals. Other misconducts include attendance in multiple programs covering the same topics in a short span of time, and pre-recorded presentations set in locations not conducive to be paid any attention to, or not played at all. The Anti-Kickback Statute states that offering or paying any remuneration, whether in cash or in kind, in exchange for a business referral that is paid for by a federal healthcare program is illegal. A doctor from Rochester in New York admitted to having received over $200,000 to attend various events and dinners where he was not asked to present. “Receipts from Salix’s speaker programs – which were approved by managers – evidence the existence of speaker programs that were quite clearly happy hours,” according to the government. The Justice Department reported that the kickback scheme was successful in prompting attendees to prescribe Salix products more often. The resulting prescription led thousands of false payment claims submitted to Medicare and Medicaid, which are two of the healthcare programs that help active and retired military personnel. “Salix found a way to pay doctors money and treated them to fancy meals to push their drugs,” said U.S. Attorney Preet Bhararain a statement in Manhattan. The Salix drugs and devices that are affected by the lawsuit are Apriso, Deflux, MoviPrep, OsmoPrep, Relistor, Solesta and Xifaxan. Laurie Little, a Valeant spokeswoman, said that the company is more than happy to settle the complaint, and that those involved in the scandal are no longer employed in the company. Quebec-based Valeant’s stock has fallenmore than 90 percent since August because of regulator inspections regarding its business and accounting practices and high amounts of debt. The settlement gives the company an added strain on its finances. The case against Salix was brought before court in two different lawsuits filed by a physician, Steven Peikin and four whistleblowers—former employees of Salix. The lawsuit allowed the whistleblowers a share of any recoveries and enabled them to issue the cases on behalf of the U.S. government, which the government usually joins in if it thinks the case is strong enough. The settlement papers state that Salix will pay the United States government $46.53 million and $7.47 million will be used to resolve civil fraud claims brought forward by various states in the U.S.